Camps with STEM-focused curriculum make learning fun and enjoyable for kids. STEM is increasingly relevant in education policy, also, and is implicated in curriculum choices, as schools prepare students for a changing workforce. Give your child an extra leg up by extending this learning into the summer months and/or March break! Camps encourage kids to interact with a new, unique peer group and open up new friendships. In a STEM camp, kids meet others in their community with shared interests in the practical pursuits of science, technology, engineering and mathematics. 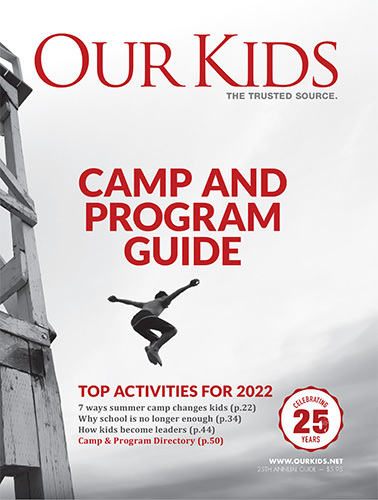 Kids with advanced learning find more stimulation in a STEM camp, where the activities may be more intellectually challenging and thought-provoking. Children will expand their comfort zone, and engage subjects at the periphery of their interests. Kids with a passion for any of these core subjects will see the fun in related pursuits. STEM camps explore academics in unique ways that are less structured and formal than what they find in a school environment. By cultivating your child's interest in these areas, you are better preparing them for high school and higher learning. Certainly, educational camps offer an increasingly broad curriculum, to meet the changing demands of parents. Precise specialization is valuable, also, as seen in a robotics camp, coding camp or an engineering camp. However, STEM camps are an important means of integrating learning in various areas and broadening learning. STEAM: science, technology, engineering, arts and mathematics. This is the most popular variation, incorporating the addition of arts (most often manifest as design elements). The integration of arts is an important shift toward a more holistic orientation. STEAM camps are indeed a growing trend, following closely in the wake of STEM. STREM: Science, technology, robotics, engineering and mathematics. GEMS: Girls in engineering, math, and science. Focuses on approaches that encourage young women to pursue education in this area. There are other variations as well. All of these are attempts to encourage young people to engage in the practical, increasingly prevalent pursuits of science, technology, engineering and math. These spheres are expected to dominate the workforce that today's children will grow up to form.